Bunch brings extensive coal ash containment experience and electric utility expertise to ESI. 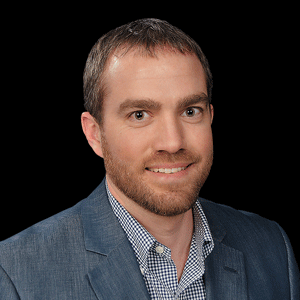 Environmental Specialties International (ESI), the largest contracted installer of geosynthetic lining materials in the United States, is pleased to welcome Ryan Bunch to its team as Project Manager. Before joining ESI, Ryan worked at Southern Company for 14 years. During the past 10 years, Ryan worked in the company’s engineering & construction services department managing contracts and the construction of capital projects for the company’s generation facilities. Ryan has extensive experience managing capital projects involving ash pond closures, dry ash landfill closures, CCR handling technology, package boilers, flue gas desulfurization (FGD) units, and SCR’s. Ryan recently successfully completed a 110 acre ash pond closure and a 26 acre ash landfill closure at Plant Watson in Gulfport, MS. Both sites were closed using a unique synthetic turf closure system (referred to as ClosureTurf®) installed by ESI. These sites were the first in the state of Mississippi to install the unique closure system. Ryan and his family are relocating to Baton Rouge, LA (ESI’s corporate headquarters). We welcome Ryan to the ESI family. Environmental Specialties International, Inc. (ESI) is the largest contracted installer of geosynthetic lining materials in the United States. The company has installed 2.5 Billion square feet of geosynthetic liners, involving 2,000 projects in all 50 states. ESI provides geosynthetic material supply and installation services to the power, waste, oil and gas, mining, water, and other related industries. The company also a leading supplier and installer of high-density polyethylene (HDPE) plastic pipe systems for the transportation of liquids and gas in related industries. For more information visit esiliners.com.